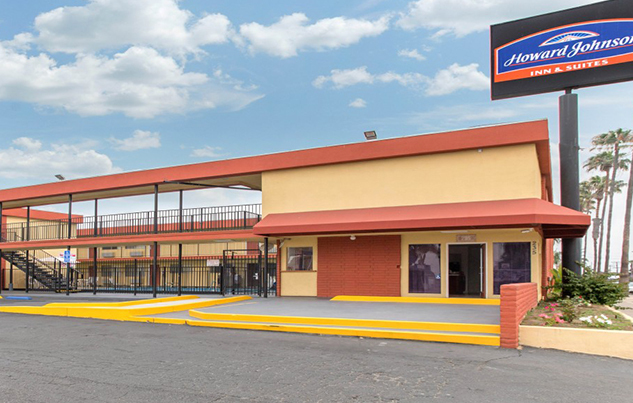 The Howard Johnson Inn and Suites in Chula Vista rests on Woodland Ave just off of the I-5 Freeway. 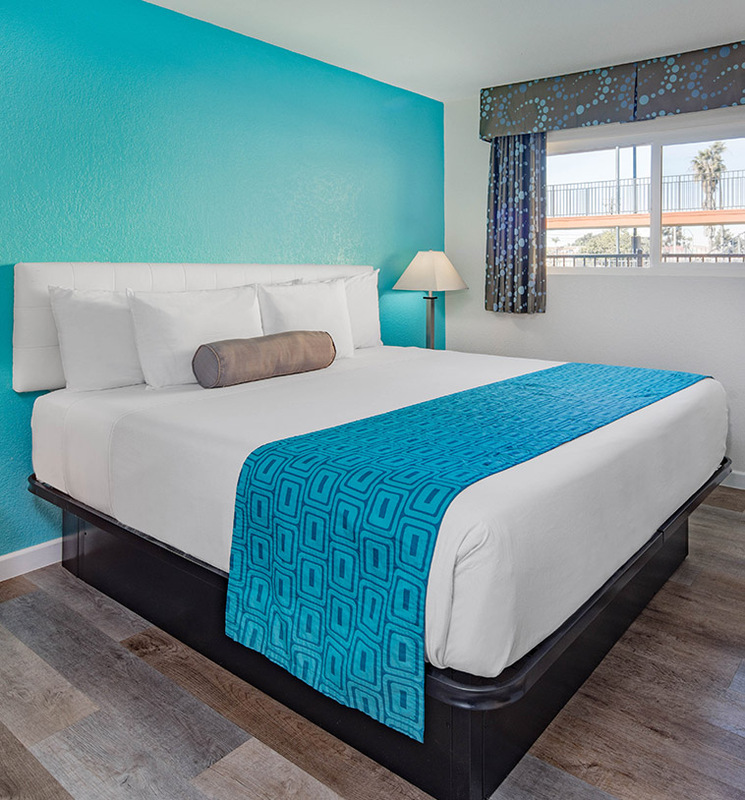 Our Convenient hub location provides easy access to favorite San Diego and Chula Vista attractions as well as ample opportunity for guests to bask in year-round perfect sunny Southern California weather. 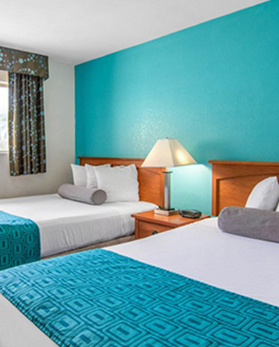 Our hotel is a brief stroll from trendy restaurants, bars, and boutique shops. Hop in your car, walk, or choose nearby public transportation to explore San Diego and miles scenic beaches that line the Pacific Ocean. 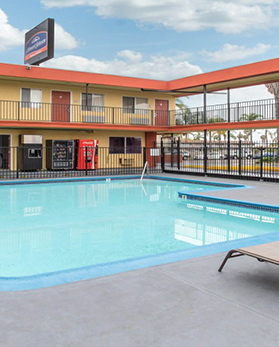 Howard Johnson Inn and Suites San Diego/Chula Vista keeps guests near the action by being just 14 minutes from Downtown San Diego’s famous Gaslamp District and a quick 15 minutes from the San Diego International Airport. For outdoor enthusiasts, Chula Vista is comprised of 52 miles of pristine coastal landscape, as well as rolling hills, mountains, canyons, and a multitude of public parks offering miles of trails and beautiful views which is the translation for Chula Vista. 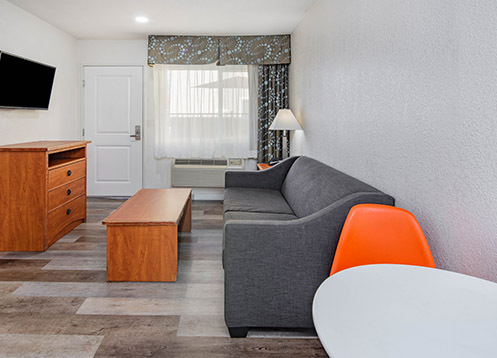 Leisure and business travelers choose Howard Johnson Inn and Suites Chula Vista for our excellent service, comfortable rooms, and select location. 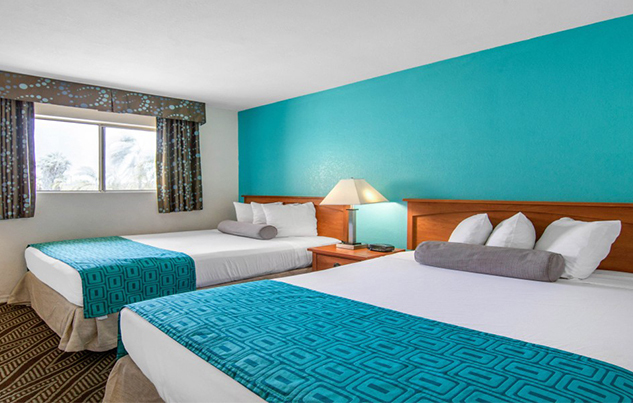 Our hotel offers guests a wide variety of amenities to keep you comfortable. 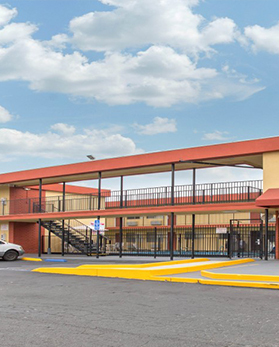 For business and leisure travelers who need to stay productive, our non-smoking hotel offers express check-in and check-out, free parking, a business center, and free WiFi. You can start your day off right with a complimentary continental breakfast and our helpful 24-hour reception desk is always ready to offer assistance. 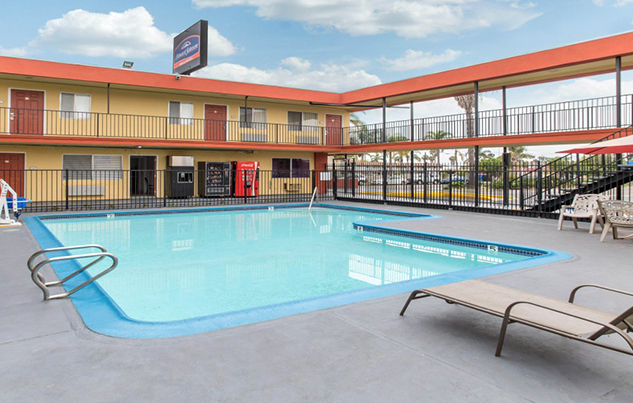 Other amenities include bus and truck parking, an elevator, an outdoor pool, and guest laundry facilities. 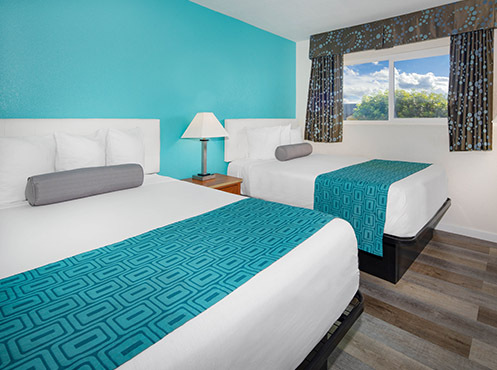 The modern guestrooms at Howard Johnson Inn and Suites San Diego/Chula Vista are equipped with flat screen TV’s, hairdryer, air conditioning, alarm clock, coffee maker, desk, free WiFi, iron & ironing board, kitchenette, microwave, refrigerator, and a sitting area. San Diego and Chula Vista are renowned for their natural beauty, extraordinary California weather, the shops, parks, restaurants, acclaimed zoo, and countless memorable attractions that call the area home. 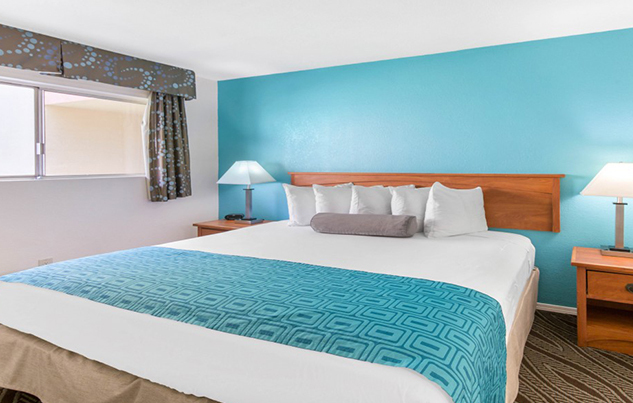 Being centrally located, the Howard Johnson Inn and Suites San Diego/Chula Vista is perfect for guests wanting to visit popular area attractions like Seaport Village, The USS Midway Museum, or South Embarcadero. For guests looking for a quiet outdoor getaway, visit the San Diego Bay National Wildlife Refuge, or for our guests who yearn for a quiet park that offers impressive views of San Diego, check out Bayview Park. 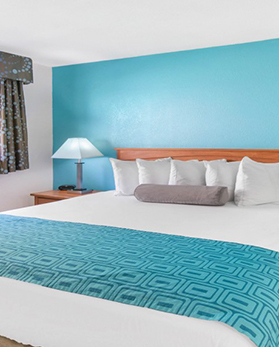 Our Deluxe 1 King Bed Suite is perfect for the business traveler or couples or small families.